Introducing the new light weight, super flexible and durable Dachshund luggage tags - Dash Tags! 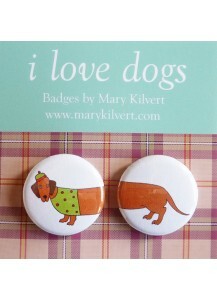 Av..
Larry The Long Dog I Love Sausage Dogs – set of two badges illustrated by Mary Kilvert. Size.. Dress up your bub with one of our locally handmade bibs. 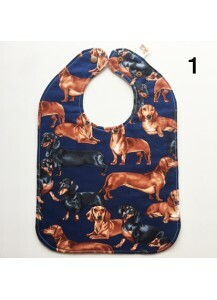 Made with gorgeous dachshund fabrics and fu.. 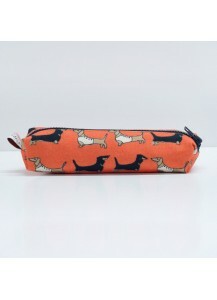 Darling Dachshund Pencil Case by Poppy Treffry. This jolly orange dachshund fabric makes a cute a..